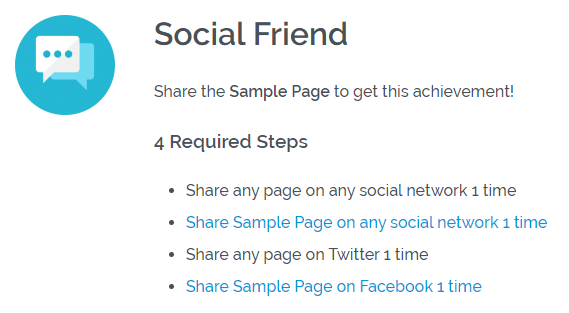 Social Share gives you the ability to award your users for sharing content from your website, but first you need to configure points awards or deducts, steps or rank requirements with the new activity events. Share any post on any social network: When an users shares a post on a social network. Share specific post on any social network: When an users shares a specific post on a social network. * Share any post on specific social network: When an users shares a post on a specific social network. * Share specific post on specific social network: When an users shares a specific post on a specific social network. Get a share on any social network on any post When an author gets a share on any social network on a post. Get a share on any social network on a specific post When an author gets a share on any social network on a specific post. * Get a share on a specific social network on any post When an author gets a share on a specific social network on a post. 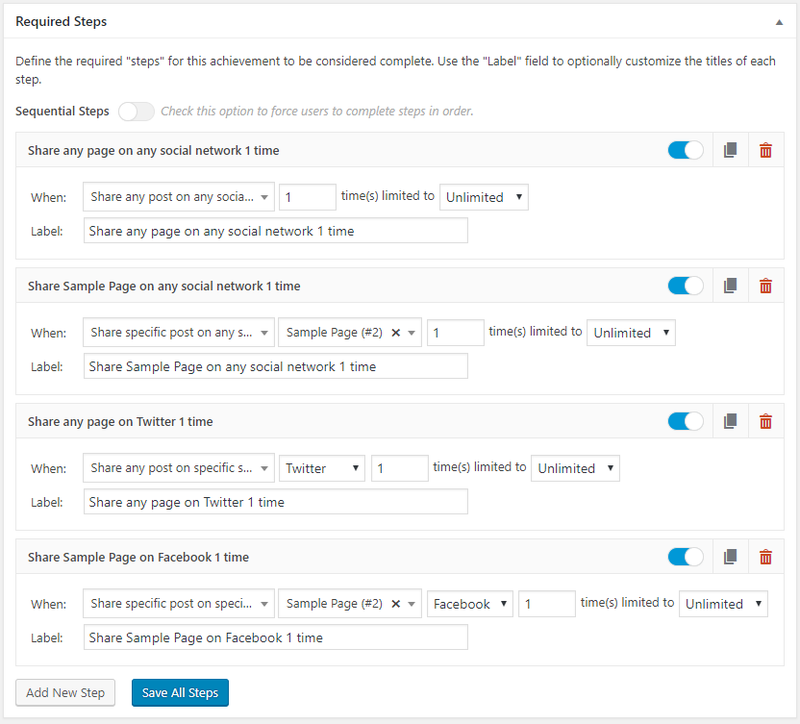 * Get a share on a specific social network on a specific post When an author gets a share on a specific social network on a specific post. (*) This activity events will add a new field to let you choose the social network an user needs to share the content to complete it.